The new Richard Clapton album ‘Harlequin Nights’ is the end result in a long divorce. It has been 8 years since Richard’s last album and for five of those eight years he was caught up in the mess of the divorce. As a result, multiple songs on the album came out from the experience. “To be really candid about it I went through a really miserable divorce,” Richard Clapton tells Noise11.com. “At the end of my marriage I wrote a couple of songs like ‘Over The Borderline’ which was a last ditched attempt to make amends with my ex-wife. The divorce got very long and drawn out. It went on for about five years which is just absurd. It’s been a difficult period”. ‘Harlequin Nights’ features co-writes with Melbourne songwriter/guitarist Danny Spencer on ‘Vapour Trails’, ‘Run Like A River’, ‘One Fine Day’ and ‘Dancing With The Vampires’, a song about Charlie Sheen. Richard Clapton ‘Harlequin Nights’ will be released August 4, 2012 through MGM Distribution. Watch the Noise11.com Sessions with Richard Clapton and Danny Spencer performing ‘Run Like A River’, ‘Dancing With The Vampires’ and ‘One Fine Day’. Charlie Sheen has slammed John Mayer for naming the actor's close friend in a new lawsuit. 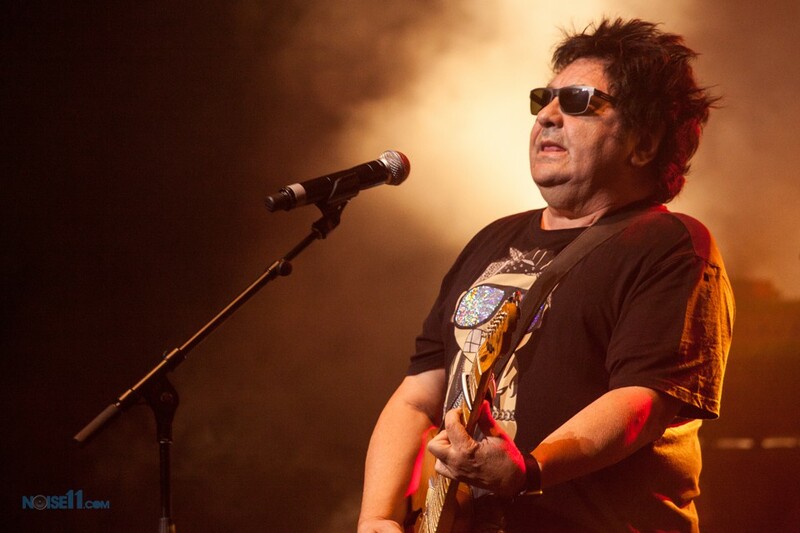 Richard Clapton will tour Australia to mark the release of his first album in eight years, ‘Harlequin Nights’. Charlie Sheen is the subject of a new Richard Clapton song.